The first meeting to establish the Missouri Broadcasters Association was held on March 11, 1948, in Kansas City. The first full membership meeting was held later that same year on August 15. Since that time, the MBA has worked to ensure that the best interests of broadcasters are well represented before the appropriate state and federal legal, legislative, and regulatory bodies. Each year the MBA participate in numerous filings before the FCC. We work with two Washington law firms to ensure that our members’ interests are being voiced. We also employ the services of Thompson Coburn in St. Louis to work in support of our legislative and regulatory efforst at the state level. The MBA works in coordination the the National Association of Broadcasters in an effort to block legislative and regulatory actions which would be injurious to the welfare of our members. Each year the MBA takes a group of Missouri’s broadcasters, representing radio and television from large, medium, and small markets to Washington, DC to meet with the members of Missouri’s congressional delegation to educate them concerning issues of vital concern to broadcasters. There are approximately 1,500 bills introduced in the Missouri General Assembly. Among these are numerous legislative actions which impact broadcasters. Some of these are general business in scope while others specifically target the interest of radio and television stations. 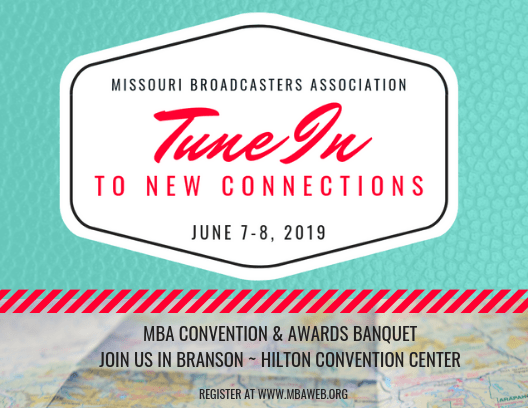 The Missouri Broadcasters Association aggressively works to advance favorable legislation and to block any legislative efforts which would negatively impact our membership. The MBA employs the services of Harry Gallagher Consultants to work with us on state issues. Harry Gallagher Consultants is one of the oldest and most highly regarded legislative advocacy groups in Jefferson City with an impressive list of clients which includes many of Missouri’s largest and most influential business organizations. In 1999 we successfully passed HB139 which exempted the initial purchase of digital broadcasting equipment from state and local sales/use taxes. In 2004 we successfully passed SB1394 which granted special property tax relief to television broadcasters for the dual signals required for the digital conversion. In 2005 we successfully passed SB210 which statutorily established special property tax tables for broadcasters that recognize and account for the reduced life span of digital equipment. In 2007 we successfully passed SB30 which exempts all equipment and utilities used in the broadcasting of programming content from state and local sales/use taxes. In 2014 we successfully passed SB650 which will keep local governments from evaluating applications for a tower/antenna based upon alternative locations. It will keep municipalities from requiring an additional environmental study above and beyond what is mandated by the federal government and eliminate regulations to remove existing equipment as a condition for approval. Application fees will be capped and there are set deadlines for local governments to make decisions on an application. Every year the MBA works to prevent the passage of numerous legislative efforts that would negatively impact our membership.